I was fortunate enough to attend a great seminar taught by psychologist, author, and leadership guru Dr. John Townsend. The focus was on how to be a leader that others would want to follow. Here are the five keys taught by Dr. Townsend. A. You can’t really get to know the feelings of those you lead. B. Sincere warmth will draw people to you so have empathy. C. Take the initiative to move inside the world of other people. D. Have a balance of grace and truth in your relationships. E. Take the time to be a good 7-minute counselor to folks in need. To do this: Listen well, Empathize, Offer a brief solution, and then Refer the person to resources beyond you. A. Leaders must guard the vision! B. Ensure that every part of the org chart has a person that knows the vision and how they contribute to it through their specific duties. C. Over-communicate vision all the time! D. Begin every team meeting with, “Here’s what we’re all about”, then share the vision. A. 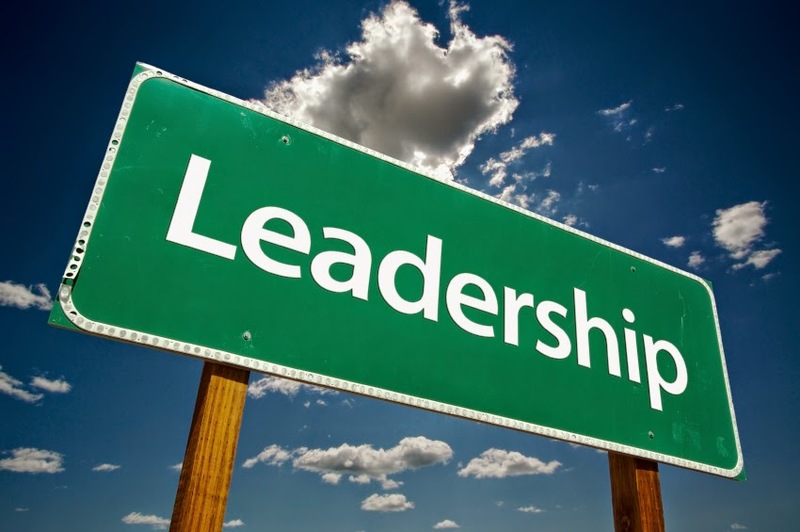 People are drawn to vulnerable leaders who show both their needs and their failures. B. People are more likely to identify with a leader who is vulnerable than one that appears “bullet proof”. C. When sharing needs and failures, it is best to share examples from one’s professional life, not one’s personal life. A. People need to see a leader leading, so leaders must create dedicated time to be visible. B. Leaders need to do rounds into other people’s spaces. C. An “open door” policy is a passive position and not good enough. Leaders must take initiative for substantive conversations and interactions. A. This is the truth you give people to help them perform better. Remember to offer both grace and truth. B. Do not be afraid of feedback from candor. C. Do not “fragilize” people, which is making someone fragile who is not really fragile. This disrespects people and fails to treat them as adults. D. Do not be a “conflict avoidant leader”! Adults are resilient and adaptive, and can handle candor! I learned a lot from Dr. Townsend’s insights and I hope you do, too! 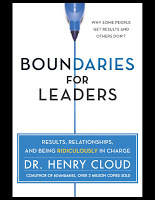 Boundaries For Leaders was written by Dr. Henry Cloud, best known as the coauthor of the bestselling book Boundaries. I am a huge fan of Boundaries and really believe that it should be required reading for every human being. As a counselor it has been my observation that many problems experienced by individuals and families are often related to boundary issues. So it was with great anticipation that I read Dr. Cloud’s new book Boundaries For Leaders, subtitled Results, Relationships, and Being Ridiculously in Charge. This book was intended for, and marketed towards, executives and leaders who want to create successful organizations with satisfied employees and customers. However, I believe the principles taught by Dr. Cloud, based on his years of experience as a psychologist, life coach, and business consultant, can apply to anyone who has influence over others including parents, community leaders, and church leaders. Boundaries for Leaders is full of tried and tested tools and techniques that leaders can use to inspire maximum performance from those they lead, as well create a mentally healthy organization. Create an emotional environment that is free of the wrong kinds of stress. Build teams that are deeply connected. 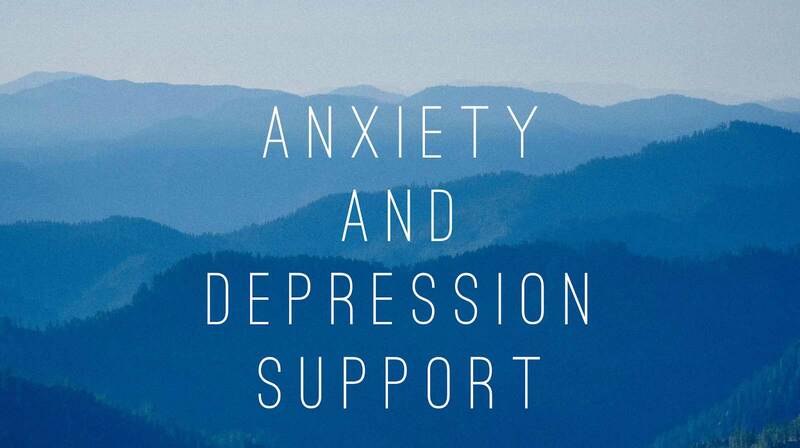 Help people to think optimistically and root out pessimism. I highly recommend this book for everyone as I believe we all have the potential to be leaders wherever we are. Add it to your summer reading list and watch yourself become ridiculously in charge!